The movie Black Panther has made millions since its release and is sure to make more. What has brought the masses to see this movie in such high numbers? And whose interests does it finally serve? Black Panther has resonated with the masses through its unique storytelling, with a majority black cast and strong and militant women. It explores current issues. But although we enjoyed it, Red Flag is forced to conclude that it has a dangerously pro-capitalist message. Black Panther is a comic-book adaptation about a superhero from the fictional African country of Wakanda, which for centuries has been technologically advanced and abundant in resources. It is a utopia of sorts but has remained hidden from the rest of the world and uninvolved in the fate of the African diaspora. When T’challa (Chadwick Boseman) has to become the new king, he is met with the challenge of what kind of king he will be—by both those who serve under him and his enemies. The first person to question the Wakanda tradition of not getting involved is T’challa’s love interest Nakia (Lupita Nyongo) who asserts how Wakanda can help other people with their abundance in vibranium (their main resource which powers the country). “I am not the king of the world. I am the king of Wakanda,” he says in protest of doing such a thing. In a recent Afropunk interview, Boseman explained that he had more in common with the villain than the hero. T’challa is “the enemy I’ve always known. It’s power. It’s having privilege,” he went on to say, speaking about the Wakanda character’s monarchial rule and choice to say no. This question is brought up again with the movie’s main villain and stand out-character, Erick Killmonger (Michael B. Jordan) and his “militant” ideals. Killmonger spent his life in Oakland (USA) harboring anger towards Wakanda and their turning their backs on Africans who were dispersed through the trans-Atlantic slave trade. Killmonger challenges T’challa for the throne and takes over the country just to seize power in hopes to arm all African descendants of the trans-Atlantic slave trade to overthrow their governments and rule. He is eventually stopped by T’challa’s alter ego Black Panther. While Killmonger’s methods were misguided, the vast majority of people who saw the movie sided with him because, for the most part, he is right to feel such anger. T’challa was born into royalty and the people of Wakanda are seen living in harmony and without a care in the world, but that’s how you know this is something ripped from a comic book. In real life, the monarchs and bosses reap all the benefits and rewards while the workers get the scraps. While Killmonger seems to be the most left-leaning in the film, it’s important to know his politics are nationalistic, which is dangerous to the masses. Nationalism is a product of capitalism and is an error in thinking because it teaches you to only view those who look like you as allies. Killmonger only wanted to free African descendants in other countries, who have experienced racial injustices and all other types of exploitation, but what of other workers who are being exploited as well? 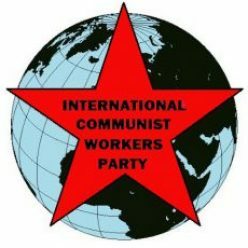 ICWP is fighting to mobilize the masses in South Africa and around the world to liberate all from exploitation by monarchs and bosses. We know that only communism is the answer where all workers are in charge and not the few. We will all work to ensure we all have what we need, and workers will be acknowledged every day for their contributions. We cannot expect a fictional character in a fictional country with fictional resources to save us. We have to mobilize and save ourselves. Capitalist media will never make movies like that.